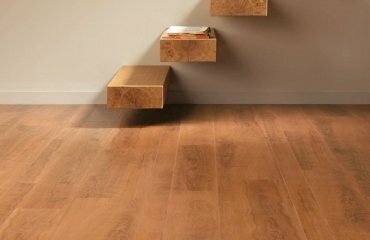 Peel and stick flooring ideas are a great opportunity to install a good looking floor at an affordable cost. 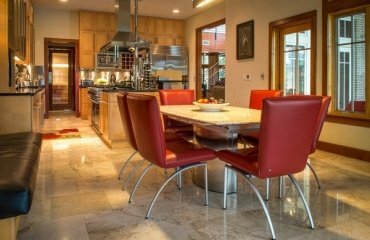 Nowadays the market for building and finishing materials offers a huge assortment of floor coverings and includes traditional finishing materials, as well as new ones that appeared recently. 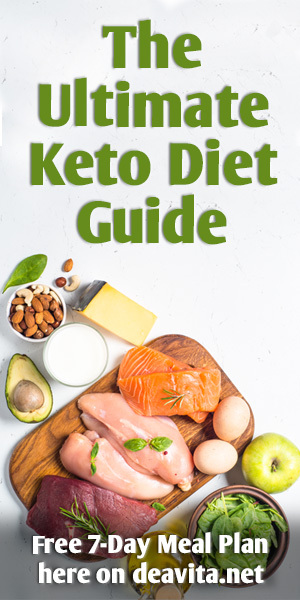 The variety is actually so huge that sometimes consumers get into a dead end, choosing from a large number of options. 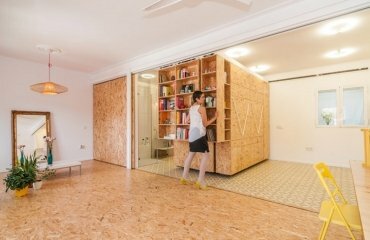 Yes, it all depends on the particular requirements of the homeowner, the budget, the size of the room, etc. but we all try to find the optimal price-quality ratio. 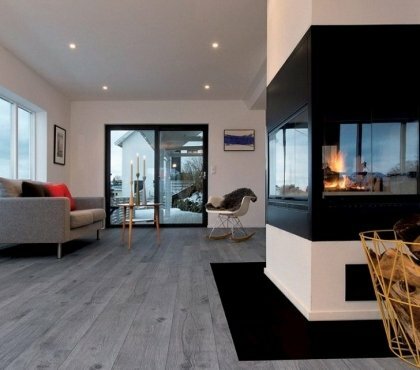 Self-adhesive vinyl floor tiles have a many advantages and we shall have a quick review at this residential flooring option. 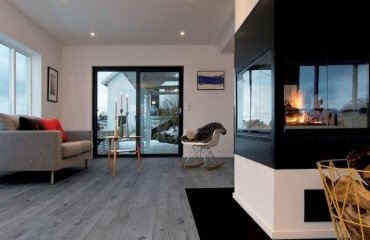 On the first place this is an affordable and cost effective flooring solution which is a great option for homeowners with a limited budget. 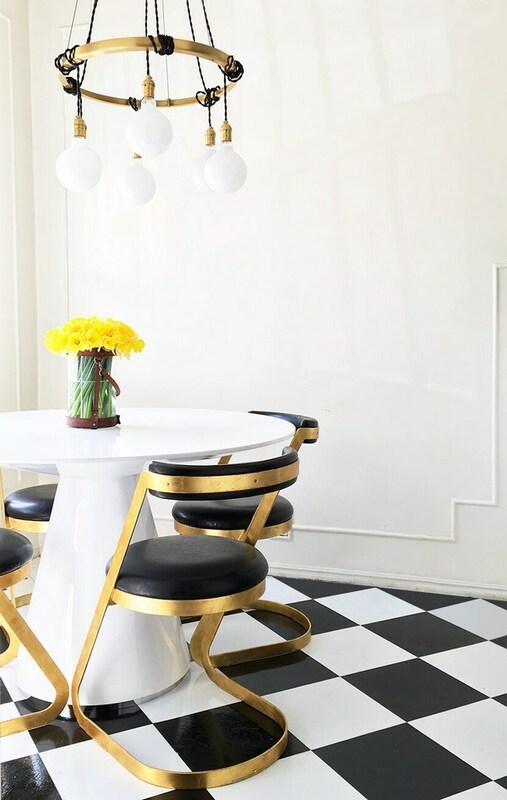 Color choice – self- adhesive tiles are manufactured in a huge range of colors and patterns so you can easily find the look which will work with your interior design. 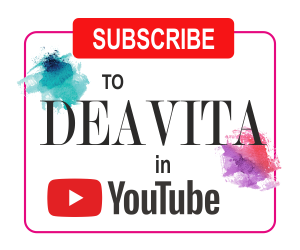 In addition, you have a choice from different sizes. 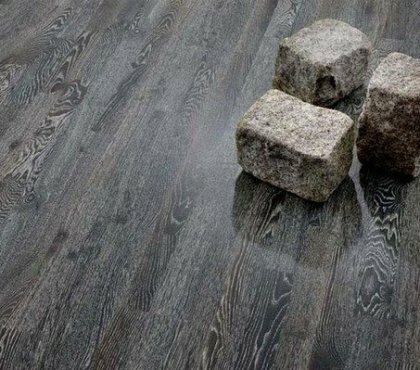 Durability and resistance – generally, vinyl flooring is resistant to moisture and is a suitable covering for kitchens, living rooms, mudrooms, laundry rooms, etc. 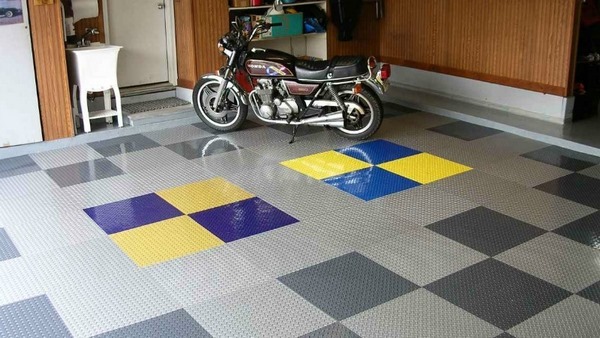 The flooring is designed and manufactured to handle normal traffic wear and due to the protective coating it is quite durable. 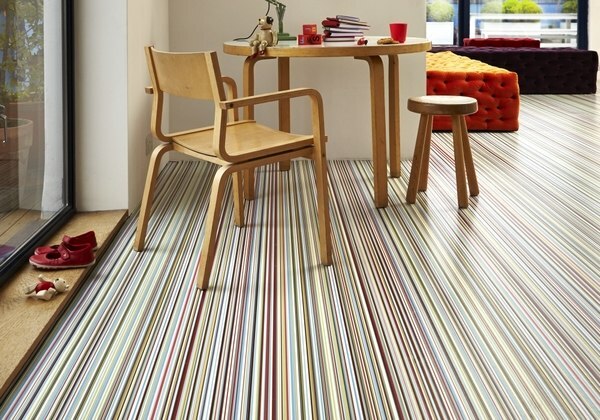 Soft and warm – vinyl floor tiles are resilient, soft to the touch and comfortable to walk on. They feel warm and you comfortable to walk barefoot. 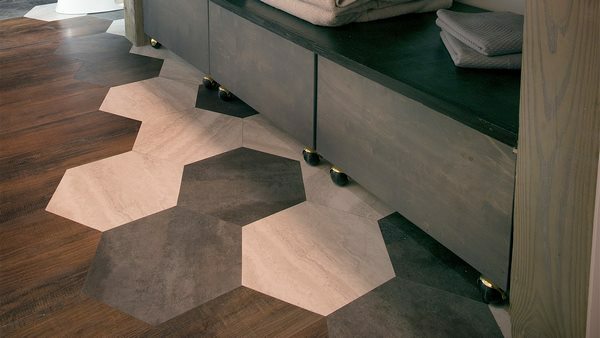 Installation is quick and easy and an option for a DIY flooring project which saves the cost for professional installation. 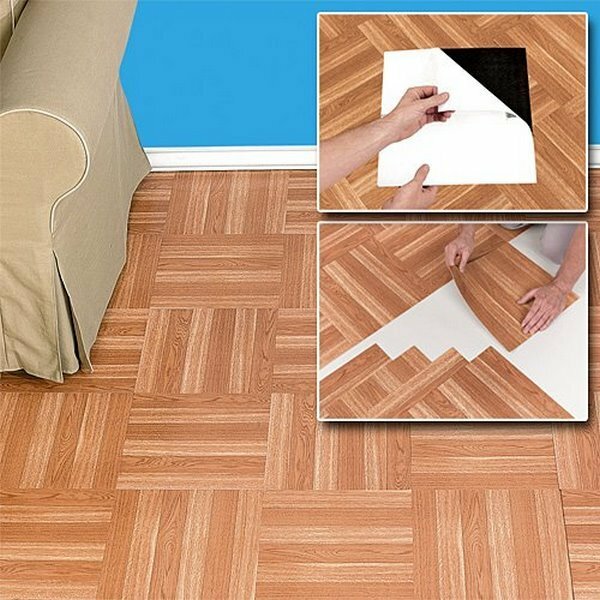 Peel and stick vinyl tile can be installed over an existing flooring and in case a tile is damaged, it is easy to replace it. Maintenance is exceptionally easy – regular cleaning and maintenance does not require more than sweeping and damp mopping. 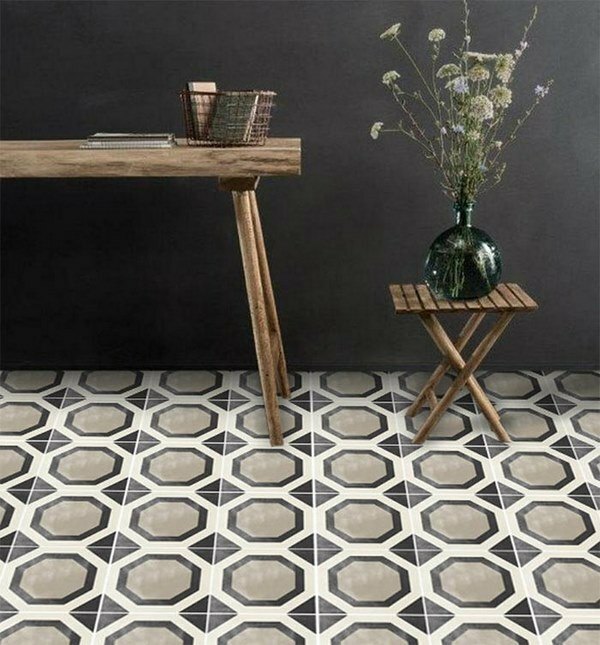 The biggest disadvantage of peel and stick vinyl tiles is that vinyl is made from petroleum and the tiles are not environmentally friendly. Vinyl is flammable and emits toxic gases when burning. Another disadvantage is these floors cannot be resurfaced. 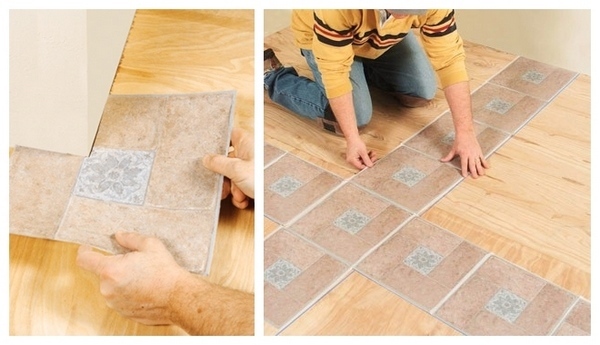 Once damaged, you need to remove the floor and change it with a new one. 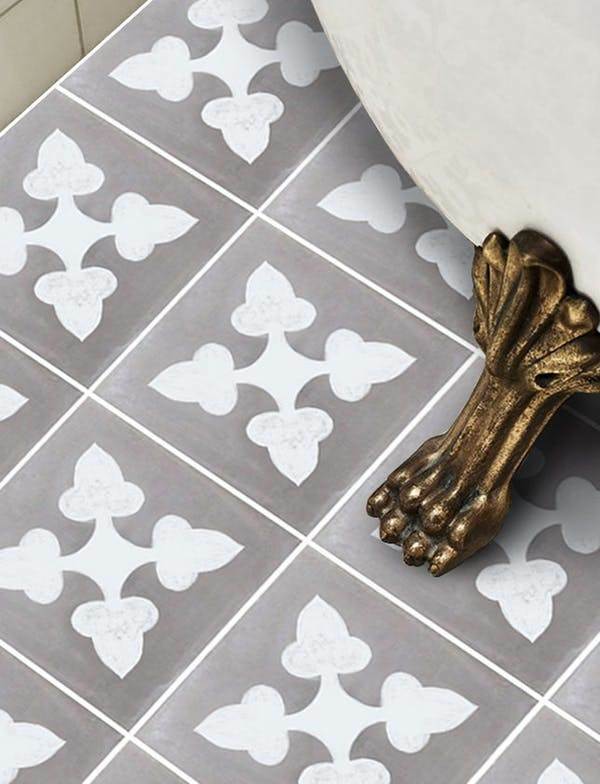 Optionally, you can replace a damaged tile. Despite the fact that vinyl tiles have a protective coating, the material is soft and easily punctured or pierced. The seams should not be exposed to water or excessive moisture as they will warp. 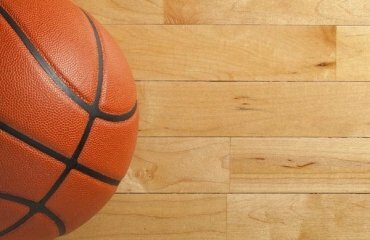 Over time vinyl floors may develop bumps or curls at the edges. 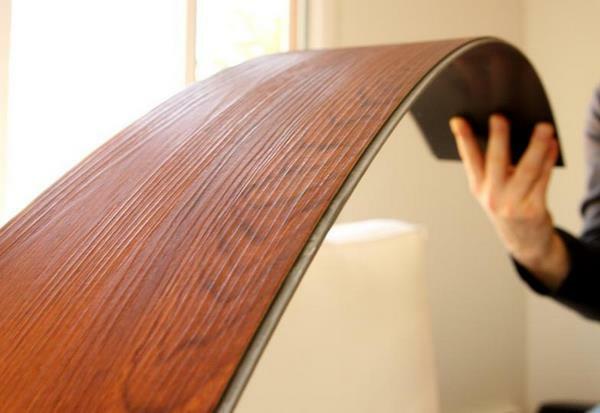 When exposed to direct sunlight, vinyl loses its color and begins to fade. First time DIY-ers should keep in mind these useful hints coming from experience. 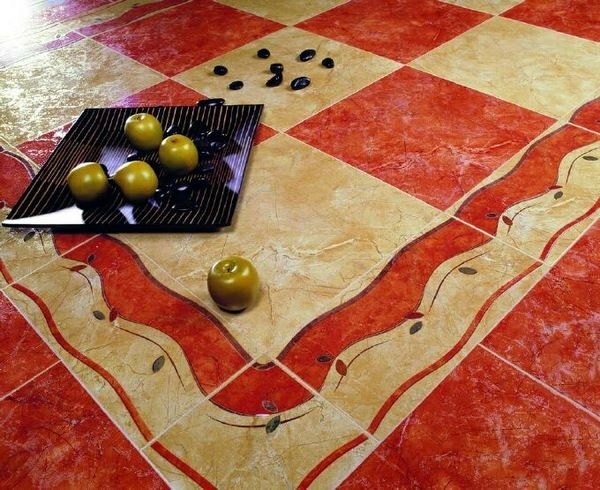 It is a good idea to buy some extra tiles. About 10% more tiles than you actually need will cover any problems you may encounter during installation – adhesion problems, wrong cuts, etc. Let the tile at room temperature before installation. This will make sure that the adhesive on the flip side will stick better. 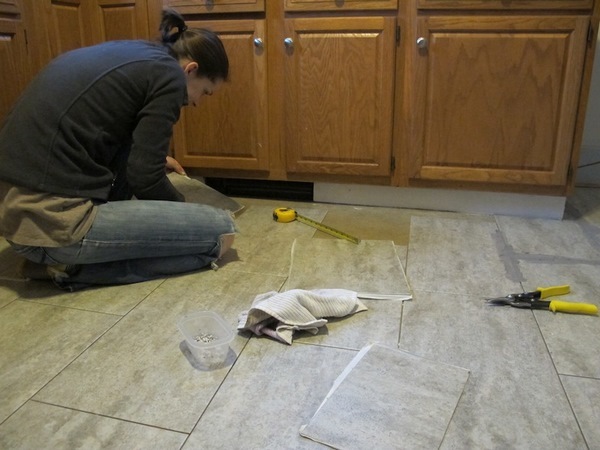 Like any other DIY project, applying peel and stick floor tile starts with measurements. 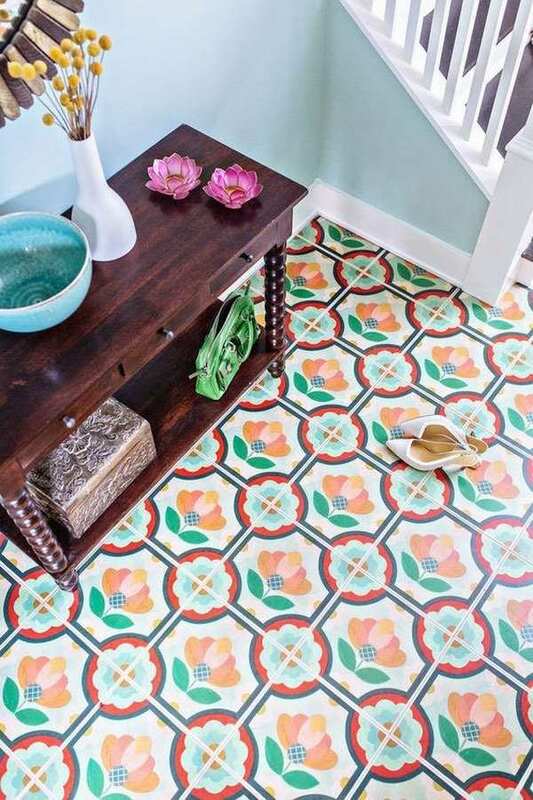 Carefully measure the length and width of you’re the room and calculate how much tile you are going to need, depending on the size of tile you chose. If you are not certain, consult with the Seller. 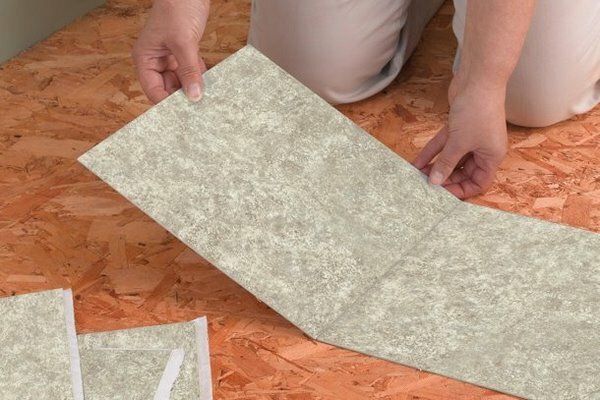 Whether you install the self-adhesive tile on an existing floor or on a specially made subfloor, the surface has to be smooth and solid. Clean the surface from any debris, vacuum clean it and wash it with a damp cloth to remove any dust. 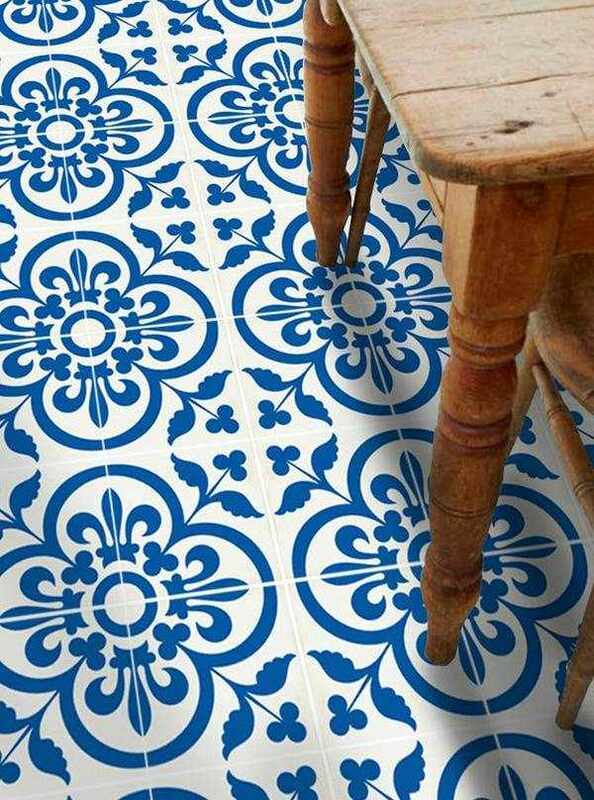 It will be a good idea to arrange tiles in the desired pattern without removing the protective strips. 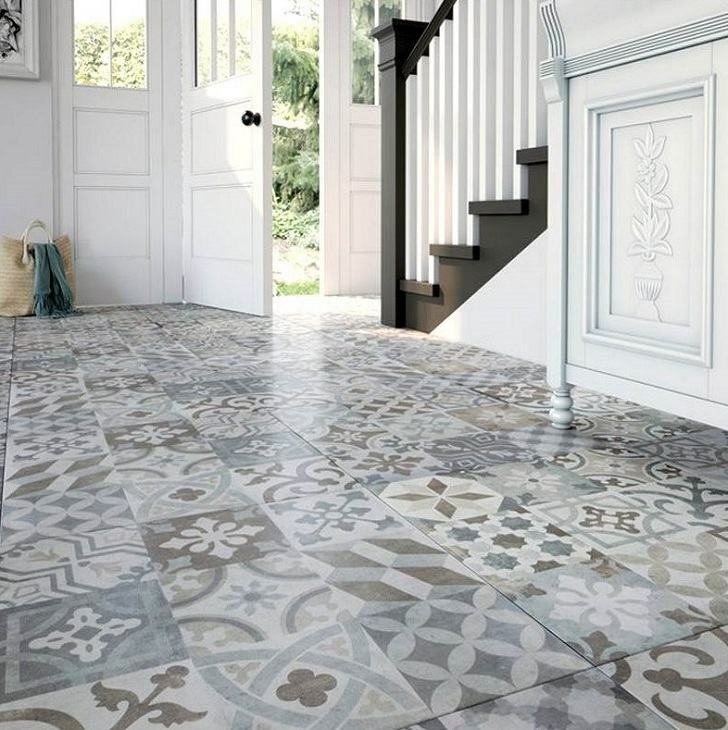 Usually tiles with a directional pattern have an arrow which is a guide for the orientation, but if you want to be on the safe side, arrange the tiles and begin installation once you are certain that this is the right pattern. When you are ready, all you need to do is remove the backing and press each tile into its position. 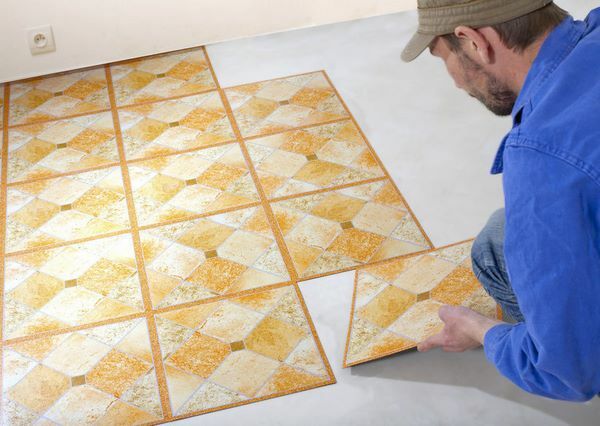 You will, probably have to cut tiles, so carefully measure, mark and cut them from the back with a utility knife, keeping the design pattern of the floor. 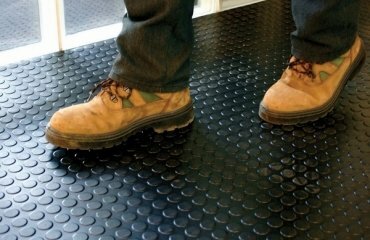 How to choose the best gym flooring for the home fitness?